A two-well programme was already in the books for this year – targeting the Jethro-Lobe and Joe prospects – and Eco recently described itself as ‘fully funded’ for those wells. The Jethro-Lobe well is slated to spud in June. It suggests as many as six wells could potentially be drilled in the Orinduik block, should the first phase of results provide sufficient encouragement. A rapid campaign would somewhat follow the blueprint of Exxon’s neighbouring Stabroek block, where the US major has rapidly drilled and made discoveries in 12 exploration wells since 2015 (unearthing more than 5bn barrels of crude resources). On Wednesday, the explorer expanded its footprint offshore Morocco, with the award of the Lixus licence. The AIM-listed group will own 75% of Lixus alongside state-backed partner ONHYM (Office National des Hydrocarbures et des Mines) which holds the other 25%. Lixus is host to the Anchois-1 gas discovery well, which with an estimated 307bn cubic feet contingent resource presents a near-term development opportunity. A further 116bn cubic feet of untested deeper potential has also been identified in the Anchois well area, Chariot noted. Anchois could provide the basis for a hub-approach to exploration and development, according to Chariot, which highlighted that material tie-back opportunities could exist – with satellite exploration prospects presenting some 527bn cubic feet worth of additional resource potential. 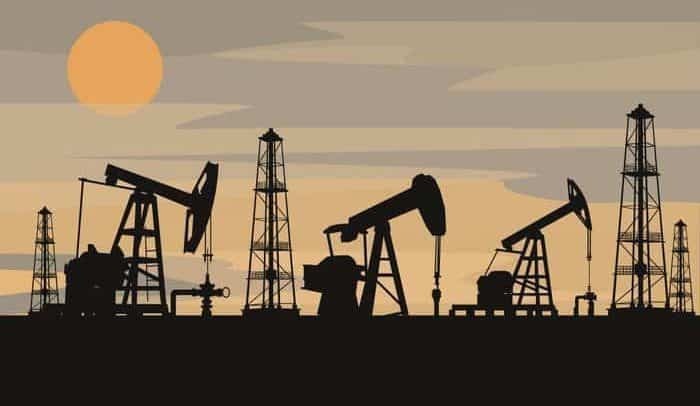 Block told investors that its new well sidetrack at the West Rustavi project is now ranked among the best wells to be drilled in Georgia. In testing, the well yielded oil at a rate of 1,100 barrels per day which is significantly ahead of prior expectations. The well had previously targeted a rate of 325 bopd. The initial well performance is better than any well drilled in Georgia in the last 50 years, Block said. We are delighted to report such encouraging test results from the first well we have sidetracked at our flagship West Rustavi field, delivering a production rate significantly higher than that initially presented,” said Paul Haywood, Block Energy chief executive. It is looking forward to the start of testing at the TE-10, once certain equipment arrives from Tunisia. The company said in a statement after Tuesday’s that TE-10 will undergo testing after a ‘rig-less re-entry’ to the well, following the receipt of coiled tubing which is on the way. It will then perforate the well prior to carrying out both unstimulated and stimulated well flow testing. TE-10 is the second in a three well exploration programme in the Greater Tendrara area, onshore Morocco. The small-cap oiler told investors that it has completed the drilling of the Stanley-2 well, in Texas. The well was drilled down to a depth of 5,000 feet, and, it encountered the targeted Eocene aged sands including the Yegua sands. Its next operations will include electric logging, and it will also run well casing. A period of evaluation will now start, ahead of work to bring the well into production. The company noted that the purpose of the well was to penetrate several Eocene sand targets up-dip from Stanley-1, to optimise the oil production and recovery from these zones identified in 3D seismic data. JOG revealed results from the Equinor-operated Verbier appraisal well which has failed to deliver the potential upside case for the project. The well, designed to confirm and upgrade resources, did not encounter the targeted Upper Jurassic sands as anticipated.